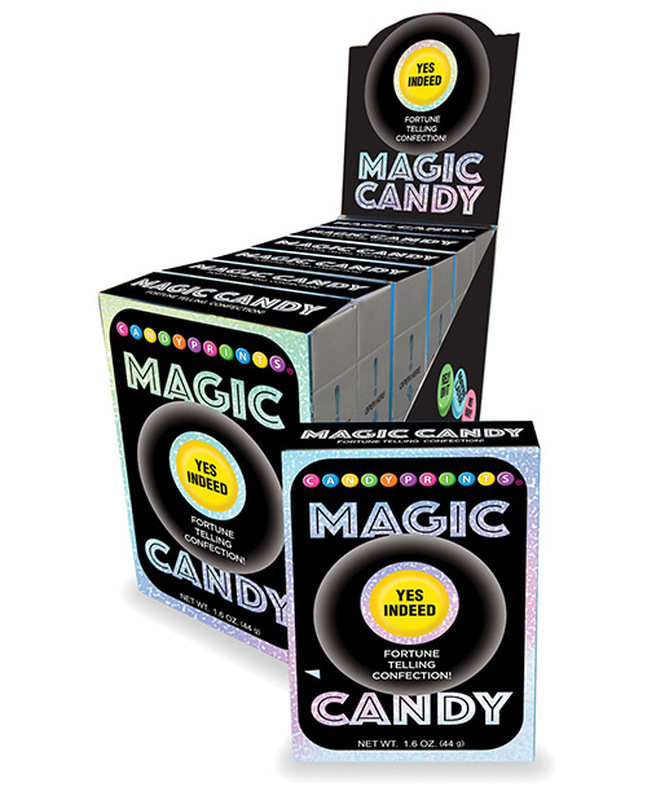 Magic Candy 6 Pack display from Candyprints. 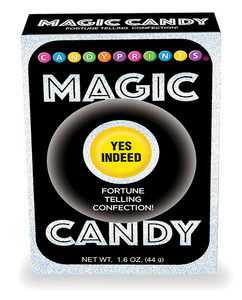 Fortune telling confection. Each box contains 1.6 ounces. 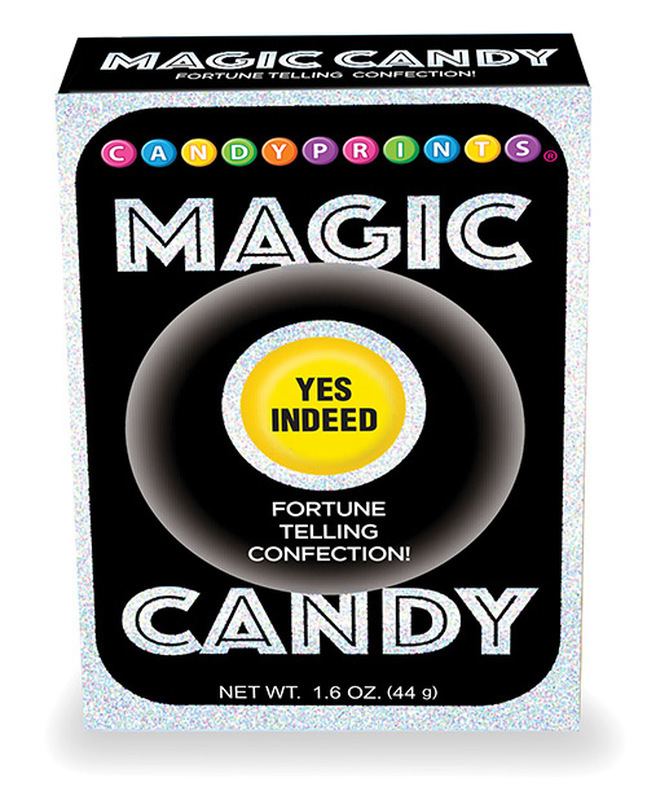 Sample candy reads Yes indeed!